Witt’s Theorem tells that any isometry between subspaces in a finite dimensional space E can be extended to an element of the orthogonal group of E. Geometric algebra in finite dimensions pivots on this theorem. 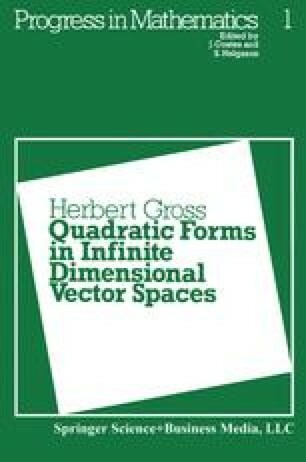 Much of the effort put in this book has been aimed at discovering and proving analogous theorems in countable dimension. In this chapter we discuss the finite dimensional case.